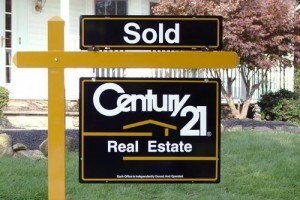 Homes sales in the York, Chester, and Lancaster SC counties in February have picked up pace compared to February 2009. As stated by Jason Foster Reporter for the Rock Hill Herald, homes sales are up 10 percent for the tri-county area compared to last year. 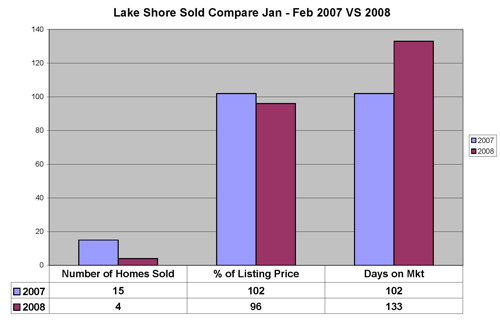 Its time for the Fort Mill real estate homes sales update for May 2009. 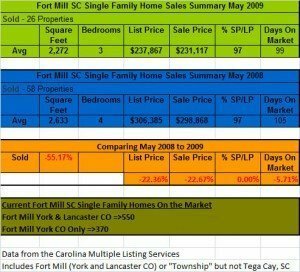 The report is specifically for May 2009 single family homes sales in the Fort Mill SC and Fort Mill township area. 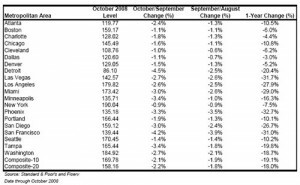 Warning Positive Home Sales News Maybe Dangerous To Your Health! The National Association of Realtors? announced in their latest homes sales forecast that existing home sales are projected to trend up in 2008 while recovery of new home sales is unlikely before 2009.